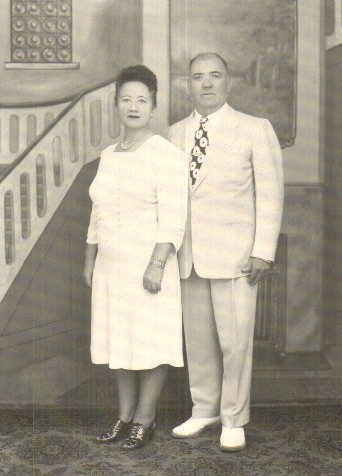 Comments: Alex (Sandor) Mazey (Nee: ) | Detroit MI USA | 1921-1940 | Comments: This is Alex (Sando) Mazey (Mezei) with second wife, Ida. Alex was originally married to Elizabeth Kocsis. Alex is the brother of Emil and Ernest Mazey of UAW fame. He died after slipping on concrete in the early 1940's.